Gratnells, manufacturers and marketers of Britain’s best known and most widely used range of storage systems for over 40 years, has supported the RSPB’s Big Schools’ Birdwatch initiative, encouraging children to become part of the world’s biggest wildlife survey. 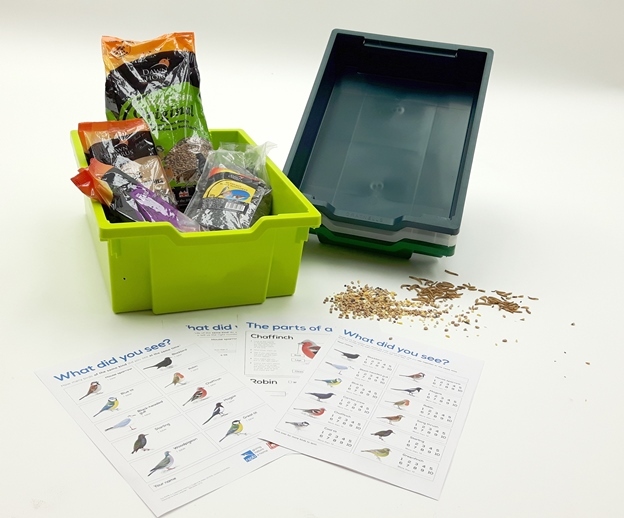 The company appealed to schools across the UK to enter a competition to win a Gratnells Deep Tray full of bird food, as well as three additional trays to mix the food in and some RSPB worksheets, by liking and sharing a post on its Social Media platforms. Big Schools’ Birdwatch, which runs from 3rd January to 17th February, is an educational activity bringing children closer to nature, takes just an hour and is suitable for all ages and abilities. The RSPB website – www.rspb.org.uk - provides more information and a download facility for resources to help schools participate.